located in Warszawa, Białołęka, are very different from the rest of the other Districts in Warszawa, Poland? including the Prices per 2meter? Poor infrastructure (including school provision), some rather rough people and not much happening there. Transport links to places people work in are better than they used to be however they're still far from perfect. Plus, given the demographics and age of the housing estates, in a couple of years or so the place will be full of teenagers. Thank you for your responses! That's very useful information. Warszawa, Białołęka, are very different from the rest of the other Districts in Warszawa, Poland? Don`t forget there is a notorious prison in Białołęka. If a rebellion of inmates breaks out, the area will be shattered to pieces. That depends what you're looking for. Wilanow and Sadyba are nice in parts and have good facilities (though no metro). Ursynow always seems crowded but has decent housing stock (mostly flats). Near the centre, Stara Ochota is pleasant, as are Saska Kępa and Żoliborz. Bielany is also nice, especially the northernmost part, Stare Młociny (I'm not just saying that because I live there). BTW, the furthest part of Białołęka district is quite pleasant, if you don't mind the traffic jams getting into town. Tarchomin (the biggest community) in Białołęka is the place to avoid. Ursynow always seems crowded but has decent housing stock (mostly flats). A friend of mine just bought a huge flat within touching distance of SGGW, and reckons that it's got the best of all worlds. No problems with parking, it's very green with easy access to the expressway and Okęcie, close to decent jobs in Mokotów, yet it's just 20 minutes by metro to Centrum as well. It's where I lived when I first came to PL, the top end of Ursynów, near the metro station of that name, quite a pleasant place in many ways. There was far less infrastructure in the area back then, however one thing's still the same; due to the architecture etc, it's Miami in the summer, and Scunthorpe in the winter. Stare Młociny (I'm not just saying that because I live there). So much for being a self-proclaimed part of a "cosmopolitan elite with three passports"! LOL! Yeah, more like someone spending most days hoping they have enough to cover the fare for public transportation in and out of the city and that a ticket inspector won't be around. LOL! Bielany is also nice...Tarchomin (the biggest community) is the place to avoid. The forum is also treated to a classical example of your radical leftist hypocrisy - all exposed in one post too! The OP should be aware that you have proudly and repeatedly established yourself as a socialist over the years on here. Everyone on here knows this and therefore no one should be surprised at all of your endorsement of Bielany and warning about Tarchomin. Here's an excellent abstract entitled "Specificity of gated neighbourhoods in the Bielany district"
- The article investigates the phenomenon of gated and guarded neighbourhoods in the Bielany district (Warsaw) after the demise of the socialist regime in 1989 in Poland. 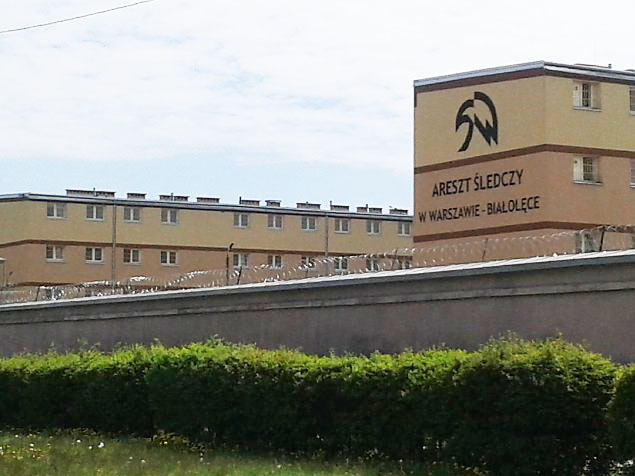 - the security functions seem to be the most basic feature of gated estates in Bielany. However, at the same time, a sense of insecurity triggers the motivation for living within gated estates. A giant Soviet-era housing estate! No wonder you completely avoided providing the OP with any details to support your personal preferences. Ah, yes, once again you are shown to be the typical champagne socialist. A lot of assumption there, Sh1tty. And about as wrong as you can get. When you eventually reach adulthood, you'll come to realise that people choose the place they live for a lot of reasons. Interesting you assume that where we live now is less expensive than Środmieście. Who'd have known that you were an expert on the various parts of Warsaw and their housing stock. Really? Most of Tarchomin is post-1995. We wouldn't expect you to know that, never having been to Poland.. Attempting your rather silly rhetoric as usual. And as usual making a fool of yourself. It's risible that you're trying to troll in a thread about districts in Warsaw, never having been in the city, the country or the continent. People move out of centres to avoid congestion, noise and pollution. If you are able to say such infantile things, it is clear you know nothing about trends which have been present for decades. It is really strange you let that ignorance of yours be exposed so easily and so often, because you like pretending an expert after all. you'll come to realise that people choose the place they live for a lot of reasons. Yes, the "rail and road" crowd like yourself have lots of reasons to locate to the fringes of cities while pretending to be at the epicentre of all the action. We've already established your limited means as one factor. The article I shared addressed another: Insecurity. Being elderly, foreign and gay has already marginalised you socially in Poland. It only makes sense that you would self-segregate. But should it be a surprise that a virtue signaling diversity hustler like yourself would personally elect to hide away in a gated community all the way out in "the 'burbs"? No it should surprise no one. You have often boasted on here on how "diverse" Warsaw had become. Yet you prefer to live as far away from it as possible while at the same time beckoning it. - Cognitive Dissonance [is] frequently invoked by mainstream conservatives to superficially skewer liberals' incoherence and hypocrisy. - According to psychologists, the dissonance produced in the mind when holding mutually exclusive beliefs is actually nothing short of a form of mental trauma. - Facts and opinions which challenge...one's self-identity or long-held conventional wisdom can...result in agony for the afflicted, producing a feeling of desperation akin to starvation or intense thirst. - Unsurprisingly then, the resulting discomfort can push the sufferer to great lengths of irrational and extreme behavior in order to obtain relief. People move out of centres to avoid congestion, noise and pollution. That's odd. Yet you are the one advocating open borders for Poland. I even pointed this detrimental environmental impact in another thread about adding millions more to Poland's population and you and your fellow virtue signalers fell silent. And you are big on "racial diversity" too. So why would you turn your back on the "cultural enrichment" which you advocate so strongly for? 15 minutes from Metro Centrum? Some 'fringes'. You're digging yourself further and further into a rather deep hole of your own making. A good rule of thumb while posting online is sticking to things you actually know about. The merits of individual districts of a city you've never visited in a country you'd need a visa to come to is a good example of this. That is same navel-gazing mentality found in Londoners who foolishly think London = Britain or Parisians who foolishly believe Paris = France. Great answer! And something always to consider, especially if you're buying. Great to buy somewhere cheap; not that great when you come to sell again. And if renting, the difference in rental prices is usually smaller than the difference in sale prices. Worth mentioning that Sh1tty is a juvenile across the Atlantic who couldn't find Lublin or Warsaw on a map. One thing to add for the OP that's relevant to the thread. When people talk about districts in Warsaw, they often mean the boroughs (Żoliborz, Mokotów, Bielany, Białołęka, Bemowo, Wola, Praga Południe etc, etc). These are actually large areas, each with their own town hall and are administrative descriptions. Places like Stara Ochota, Stare Młociny, Saska Kępa, Kamionek, Powiśle etc) are neighbourhoods (often large ones) within those boroughs. Warsaw is changing fast, and there's a lot of residential development. the metro (especially the northern part and line 2) are opening up a lot of new districts, plus there are some huge new flat developments, especially to the west of the city. The district that someone chooses depends on a lot of things, transport infrastructure, the schools, the sort of shops there, whether or not people want to eat out locally, and of course the type of home they want to rent/buy. The OP doesn't say if they're in Warsaw already, and if they're in a hurry to find somewhere or not. I'd recommend spending a bit of time looking at different bits of the city. What one person would like about, say, Powiśle, might be a negative factor for someone else. About Białołęka, a good (perhaps much better) alternative would be the eastern parts of Ursus (and beyond), or Łomianki. I like Targówek (Sh1tty would be doubtless fizzing with angst to see I'm recommending somewhere with a large PRL-era housing estate!) and that area has changed a lot due to development and an improvement in transport links; especially around Elsnerów, a bit of a no-go area 20 years ago, yet quite smart and safe now. It doies however define this thread which is about Warsaw. I am from Krakow ( living in UK now) so I don't know Warsaw districts very well....ha ,ha especially ( not sure you heard about it) but they call us 'centusie' tight with money in Krakow and too laid back:-). I think decision about buying property is very difficult so if someone does not know Warsaw very well it would be better to rent first I think. I think there is the same tendency all over Warsaw, Krakow, London.....some run down districts 'evaluate' and get fashionable and expensive like Kazimierz I Krakow ..Targowek but I think also Praga in Warsaw. I think transport, schools but also family living close are important. It's really changed a lot, and has less of an inner city feel than Stara Praga. Pelcowizna, between there and Białołęka has changed a lot too. It used to be a little district of pre-war villas surrounded by a post-industrial wasteland. I was amazed at the way it looks now, Good commuter rail links into Centrum as well. Podgorze just across the bridge from there always seems a nice area. Makes a difference, doesn't it. It's well worth looking at the pollution map in Warsaw; some places are less affected than others and that does affect prices too. That's one reason we like being so close to Kampinoski Forest. Not in a million years. It's loud, annoying and some very odd people live there.